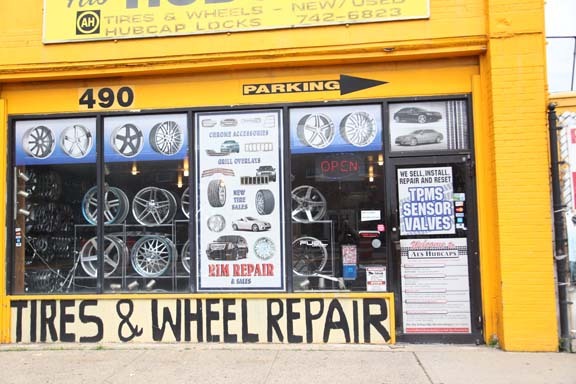 Since 1979 Al's Hubcaps has been servicing local, national and international needs from the North East location in Mineola, New York and service clients throughout Long Island, Brooklyn and Queens. We specialize in original equipment wheels, hubcaps and installation of high performance wheels and repairs. We have years of experience in the auto industry and can provide a wide range of quality services to get your car working and looking like new in no time! We straighten aluminum wheels while you wait including chrome rims and do wheel reconditioning including powder coating & color changes. If you would like to schedule an appointment for you vehicle or simply would like to know more about the repair services we provide, please contact us today. The number to call is 516-742-6823. YOUR TIRE & WHEEL REPAIR EXPERTS!